(Available in Registrar's Office, Room A134 - next to Business Office, during normal business hours or download a copy (bottom). You may choose either an Official or Unofficial Transcript. An Official Transcript is sent via mail, directly from the Registrar's Office to the desired address. The transcript is stamped with the official school seal. The requester does not handle this transcript. An Unofficial Transcript is given to the requester or mailed. It is stamped with the lettering “un-official”. If mailing in a request, attach a copy of your picture ID (state ID, driver's license or military ID) with your application. 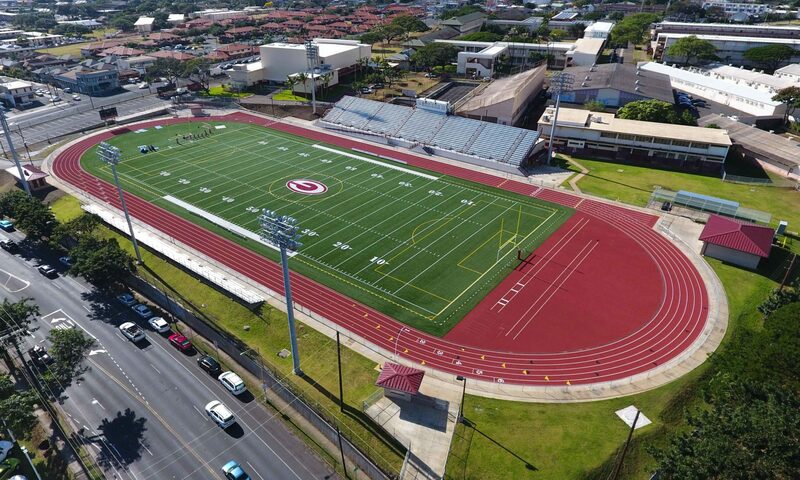 Make sure you fill out the last year you attended Farrington H.S., and/or your graduation year, maiden name (if applicable), the address (school, union, university or prospective employer) where you want the transcript sent and $1.00 (check or money order payable to W.R. Farrington High School – please do not send cash in the mail). The Registrar's Office will process the official transcript within 72 hours upon receipt of your request.